Pautrot was certainly a master in sculpting birds and their lives. He created many models showing birds of all species, posed in flight, at rest, caring for their young, singing, and catching food. His birds are finely detailed and rival Moigniez's best works in depicting these feathered creatures. 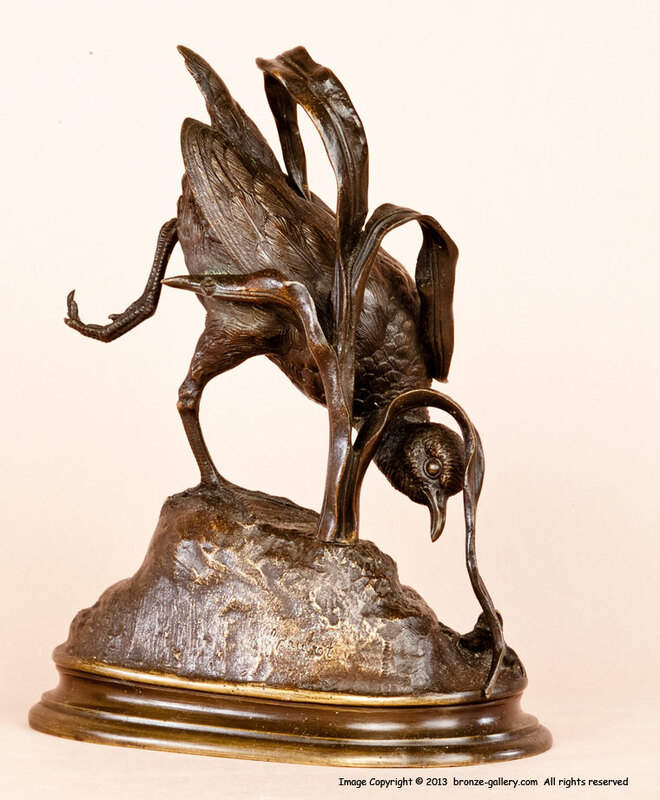 This bronze shows a Shore Bird hunting for its dinner of frogs in a marsh. The small Frog on the base is hiding by the long reeds but has been seen by the Shore Bird which is delicately balancing on one leg while it leans forward getting ready to grab the frog in its beak. An excellent portrait of nature in the wild and the cycle of life, the frog feeds the bird which would later go on to feed a predator. A rare model, this bronze is one of Pautrot's best works, it has very fine cast details and is an interesting subject. 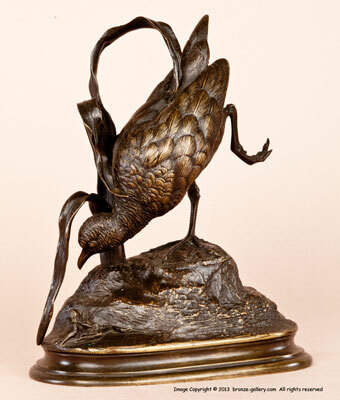 The bronze is finished in a rich dark brown patina and is signed on the base.